the fancy teacup: hazard lights. Hot off the presses...I am now on Instagram! 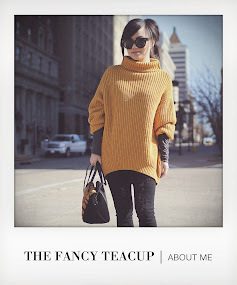 You can follow me here (@_thefancyteacup). Don't forget the "_" in front! This is going to be a three day weekend for me, and we going to spend it by having some fun on the historic Route 66. Super stoked. Have a happy Easter weekend! Love you all. love your shoes! cute sunnies! comfortable outfit, very cute! washout of the petticoat, it is very original! I loved your bracelets, perfect for an arm candy! Uhmm, those sling-backs are totally fabulous, love that metallic sheen! Love the colora of the skirt. Cute outfit. Love your outfit... That skirt is so cute!!! I love your jacket!!! have fun!!! argh zara has like the best ombre clothes! i love that tie dye skirt! it looks amazing on you!very trend. I love the skirt! So stylish and cute. Awesome heels! The outfit is so chic, I love it! wow i LOVE these photos! skirt and shoes together is a dream. I'll definitely go find you on instagram! Oh Instagram. The only thing that is motivating me to get an iPhone. I LOVE this mini so much and the metallic shoes are great. You are always so gorgeous! fun and summery, i love it! such a cool skirt and i love love love your shoes! love the skirt! just fab.. The dip-dye neon skirt is awesome! Love the tie dye skirt, have fun on route 66! Your heels are amazing as always.! You look beautiful - love this style... - so perfect! love the shoes with this skirt!! What an awesome skirt! I am so in love with your hair! Fab tie dye skirt and as for the shoes, well..... Amazing. Love the skirt, its so different! Love the skirt and shoes! WOW! I love your shoes! they are so nice. I love those shoes! You're just always so edgy aren't you!? I just love your two-toned skirt...great with the neon trend. And your mirrored heels...lovely! Thanks for sharing another great look. Have a wonderful weekend. Yeah, pink & white suits you perfectyl! Have a great weekend! Come enter my luxury giveaway including a Chloé Make Up Bag ! OOO I love the skirt and the heels!! maybe check mine out if you have time? Beautiful outfit and blog. I really like your efforts in taking to editing the pics to make it like I;m reading a magazine. Now following! Pretty look.. Loving the skirt! The tribal bracelet with the studs is so cool! love the metallic heel , nice touch! and the format of your pictures is really neat! look at that skirt.... ! Your're amazing! I love your style and your blog! THe skirt looks awesome! Se my blog and maybe we can follow each other* I'm following you now! Love the 2 tone skirt! I am loving neons right now and this is perfect. You look great! I'm in love w/ your skirt ! waaw, I love your blog! 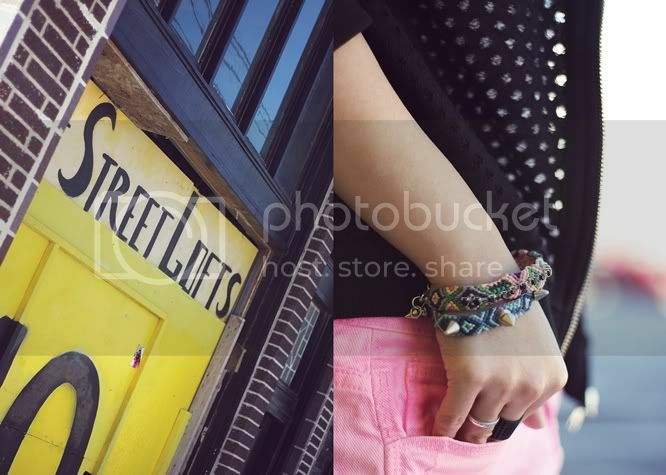 you give photos like lookbook collection, great! Your skirt looks so adorable, dear! This jacket looks great on you. And shoes..love! Amazing photos and style!! your such an inspiration!! chic! i'm in love with your shoes!!!! I like your blog, if you want follow me back! I love the color change thing going on with your skirt! LOVE! Love your layout and pictures. Brilliant blog with great pics and style ideas. did you dip dye that skirt yourself?? the mix of colours is sharp and edgy, but I guess a soft pink hue blends it all together. nice sweet look for a long weekend. have fun over in Route 66 Jamie! Such a great look - I adore the skirt! Looking great in this outfit. Love the shoes too! i'm so into neon pink now! Adore your shoes. You look Amazing. Those shoes are major - love! Beautiful look is molto bello. Oh, I love your shoes and those braceletes! Great skirt! Very cute outfit! That skirt is awesome. I have never seen one like it before! Simple but very stylish look! The metallic shoes are gorgeous! love your skirt!!!! !i like your blog!! !i follow you. kisses from spain. Very cool metallics. Love them. love the two toned skirt and those metallic pumps are to die for!! Really cute slingbacks, I love all your looks!